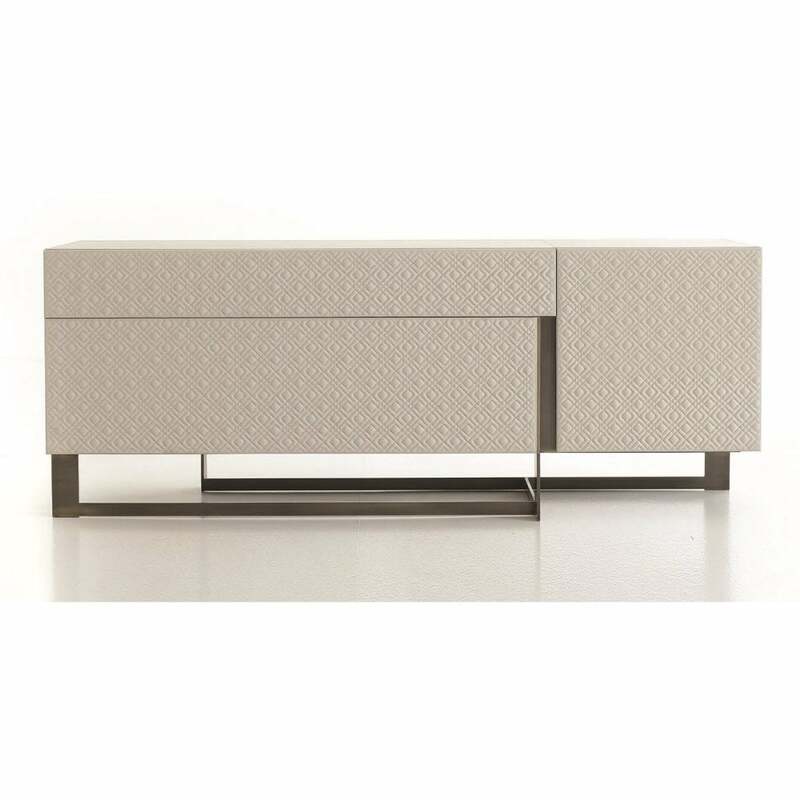 The epitome of modern luxury, the Blade Sideboard by Rugiano Interiors is crafted with the utmost care and precision. A sleek design that exudes sophistication, this sideboard will add a touch of glamour to any dining or living space providing plenty of storage for your best tableware and glassware. The rectangular unit can be realised in a variety of materials including ebony wood, lacquered wood or the finest Pelle leather. To complete the look, the supporting frame is crafted in either steel, bronze or black chrome. Available in three bespoke sizes, make an enquiry for more information.